Back Care has dramatically changed in the last 5 to 10 years but some clinicians are still treating patients like they did 20 years ago. Back care has many meaning to a lot of people. Physical Therapists, Physicians, Chiropractors, Massage Therapist and the person with the back pain. We first need to start with a diagnosis to determine a course of treatment. “All Back Pain is NOT Alike”. A good history of symptoms, along with what increases or decreases your symptoms. “Does your back hurt when your standing, sitting, walking, bending or rotating or lying down? A good physical evaluation can provide excellent information to a medical clinician, What can be the “foundation” of your problem? A good clinical evaluation should not have a preconceived idea of a back pain patient’s problem and search to validate that idea. The clinician should base their treatment plan base on functional limitations and not just symptoms. Be mindful of what causes the pain and then set out to find “what is causing the symptoms” and treat the dysfunction. The physical evaluation should rule out what is not moving well and where limitations are found in the body, with regard to joint mobility, pelvic alignment, muscle imbalances or muscle weaknesses. 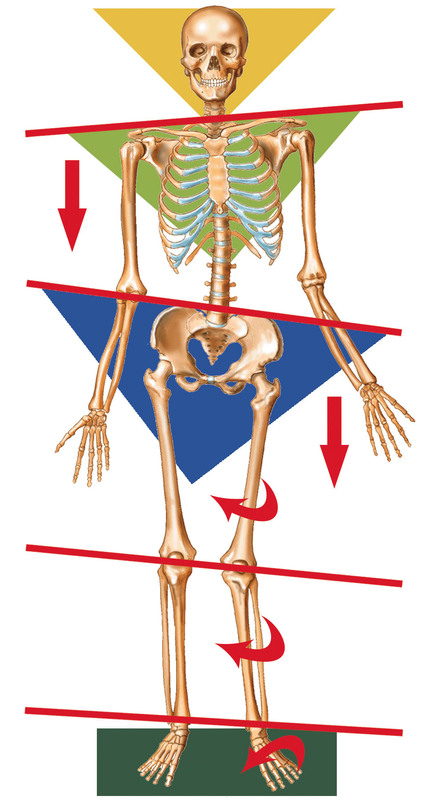 Once the clinician has made a complete evaluation of the patient’s functional mobility and kinetic chain assessment, the clinician can start defining what is potentially causing specific symptoms. Back pain can be caused by a tight hip, a rotated pelvis, tight anterior pelvic muscles, tight hip flexors and quadriceps. All these problems will eventually put unnecessary stress to the lumbar spine and affect its alignment and movements and then compress, inflame, or herniate a lumbar disc. 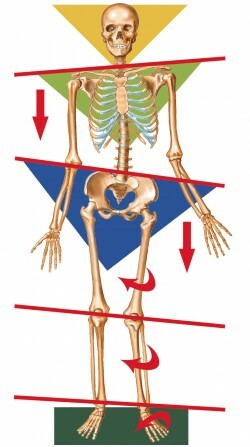 The one major rule we have with treating the lumbar spine: “Do Not Move the Lumbar Spine” !!! We treat the lumbar spine as a support wall in our house. Most issues can be resolved in the lumbar spine acutely by treating the limitation around the lumbar spine. This is a significant change in philosophy of traditional spine care. Every case is different and each approach is modified base on history, symptoms and limitations. Our initial sequence in our evaluation does not: History, Physical Evaluation, Find out whats not moving properly or weak links in the kinetic chain and core serve as a good “road map” for treating and resolving most spine problems. Your lumbar spine’s number one critical factor is stability, so any manipulation of those facet joints could lead to instability. “If you have a sprained ankle, you don’t want someone manipulating that ankle”. You want to allow those ligaments to “tighten up” and then start slowly moving the joints and progressing with strength exercises. Well, treating a spine can be very similar in philosophy. Promote functional movements without pain. For further information, see our web page at www.frogspt.com and if you have any specific questions please feel free to contact me at info@frogspt.com. Treating the body is an art as well as a science, communication and education are integral parts of the treatment process.